They were joined by Joanne Hurst, Ken Russell and Chris Abbott soon after that date and by 1978 the club had grown to about 15 members. The club flew from various patches of suitable grounds, mainly on farms, but had to leave when cropping took place. Eventually a site a McPherson Reserve and a site at Mount Cottrell, on Faulkner's Road, Rockbank was offered. The Mt Cottrell site was chosen, which is still out present site. The whole area was an old WWII telegraph station, with concrete pads for antennae and many huge rocks. These had to be removed which took blasting with dynamite, back hoe and trucking in and out. There was a lot of hard work by the members of the club, but a 50 x 30 meter strip was levelled, grassed and gradually developed with fencing. In 1980 a shed was erected and a sprinkler system installed and the strip extended to the present dimensions. By early 1900’s the membership had grown to about 30 due to the expansion of the Shire of Melton, including the new Caroline Springs development. The infrastructure slowly grew over the years, to the present infrastructure we are now enjoying and flying membership now over 50. 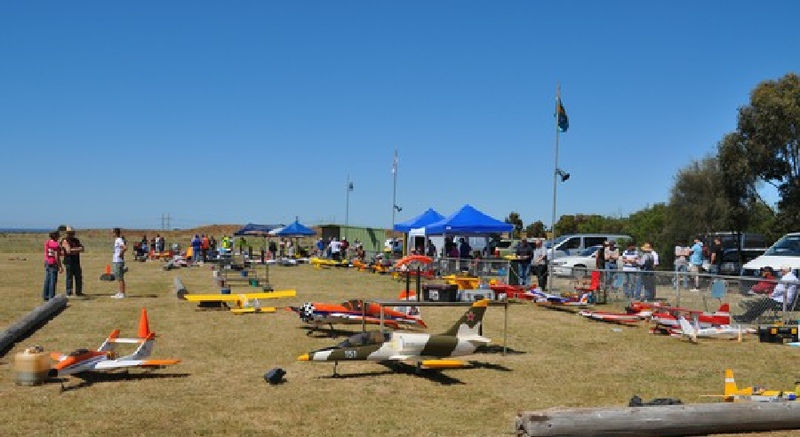 If you would like to find out more or have a passion for the hobby but don’t know where to start, visit our contact page and get in contact with us.